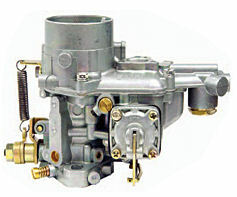 New 34 Weber (ICT) or Empi (EPC) carb only. These new carbs are supplied with 1.75 Needle and Seat, 1.50 Main Jet, .55 Idle jet, 1.75 Air Jet and F-6 Emulsion Tubes. Click Options Tab to choose yours.